Animal Protection Act includes an obligation to help wounded companion animals, yet the situation in almost all local communities is disheartening. 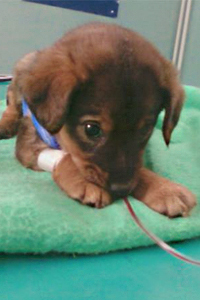 Wounded animals are left to die on the roads of Croatian cities and communities. Helping wounded animals by offering them adequate veterinary care and adoption after their cure is a basic thing that any civilized community should provide. Terrible scenes of wounded animals whom no one will help should not exist. Animal Friends demands of all local communities that they should observe their obligations as foreseen by the Animal Protection Act: build shelters for abandoned animals, organize neutering, adoption, and educational programs, and by all means offer adequate help to wounded animals by organizing an emergency service. Besides, Animal Friends would like to call people's attention to the fact that it is forbidden to abandon animals or leave them unattended. Such animals very often end hit by a car and dying an agonizing death at the roadside. Their guardians should be severely punished for such irresponsible behavior, on the same level as direct animal abuse. 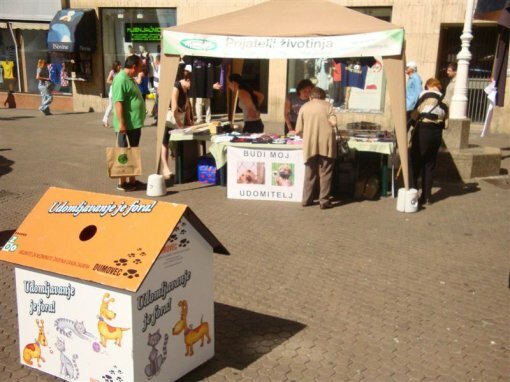 Animal Friends has joined the action "Adopting is Cool," organized by the Zagreb City Office for Agriculture and Forestry and Shelter for abandoned animals in Dumovec. This time, the action focuses on offering help to wounded animals and will be joined by Noah's Ark association, which organizes animal care and adoption in Zagreb in cooperation with the municipal institutions. 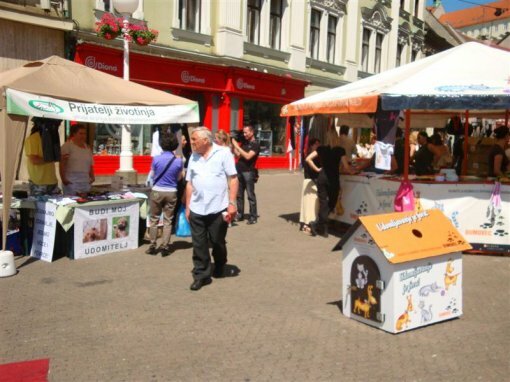 Info stalls with promotional and educational materials will be put up at Trg bana Jelacica on June 16, 2012 from 9:00 A.M. to 3:00. P.M. Citizens will be familiarized with the concept of adopting a wounded animal, and some of the animals awaiting adoption at Noah's Arc will be present at the action. Finding a home for wounded animals and their recovery can be a difficult process because of the high costs of veterinary care, especially if the wounds are serious, and the process of their adoption can be long. But every abandoned animal longs for a home and a family, especially those who were hurt when they were thrown out into the street, and had to endure difficult operations and prolonged treatment. After their recovery, these animals remain grateful and faithful friends, and their adoption is a perfect opportunity for an act of kindness. Animal Friends would like to draw attention to the fact that all local communities are obliged to secure medical care and adoption to wounded animals. We also invite everyone to adopt an animal rather than buy one and, if you have the right living conditions, we especially recommended adopting an animal that has been wounded and needs the security of a home and human attention even more than a healthy animal does.